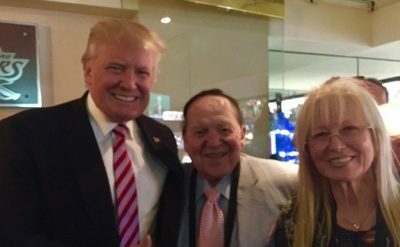 Billionaire Sheldon Adelson was influential in Trump’s controversial decision to move the U.S. embassy to Jerusalem, and he also lobbied Trump on the Iran nuclear deal. Turns out Adelson also has a connection to former PM Stephen Harper. The CBC’s Wendy Mesley interviews Ken Vogel, who writes about money and politics for the New York Times. Original CBC’s news program “The Weekly with Wendy Mesley” broadcast on May 20, 2018. Mesley interviews New York Times reporter Ken Vogel, who says that Adelson has private meetings at the White House with Trump, Vice President Pence, John Bolton, and others.